2018: I update the calendar as new events come up, but it’ll be mostly quiet this year. Must. Write. Words. Please join me for any of these upcoming events, or let me know if you’d like to have me join you at yours (including by Skype/Facetime/AllApp/Hangouts). We’ll get it on the calendar! September 20, 2018, 9:00-10:30 a.m. MST: Wheat Ridge Library, Wheat Ridge, Colorado. I will be attending the Wheat Ridge Library book group remotely, and they’re inviting anyone interested to join the in-person group by calling in with questions. Go to https://www.uberconference.com\jcplhomeservices to join the meeting, or call 303-502-5189. For more information, call the library at 303-235-5275. August 20, 2018: New Books in Literature podcast. Interview with Galit Gottlieb about Among the Lesser Gods. Search to find it in your podcast app, or get it directly from the New Books site. June 9-10, 2018: Dallas/Forth Worth Writers Conference, Hurst, TX, presenting “Build the Arc: Creating Character-Driven Stories” and “Fight or Flight: Enrich Your Characters by Finding and Feasting on Their Fears.” Register or get more info at the DFWCon website. 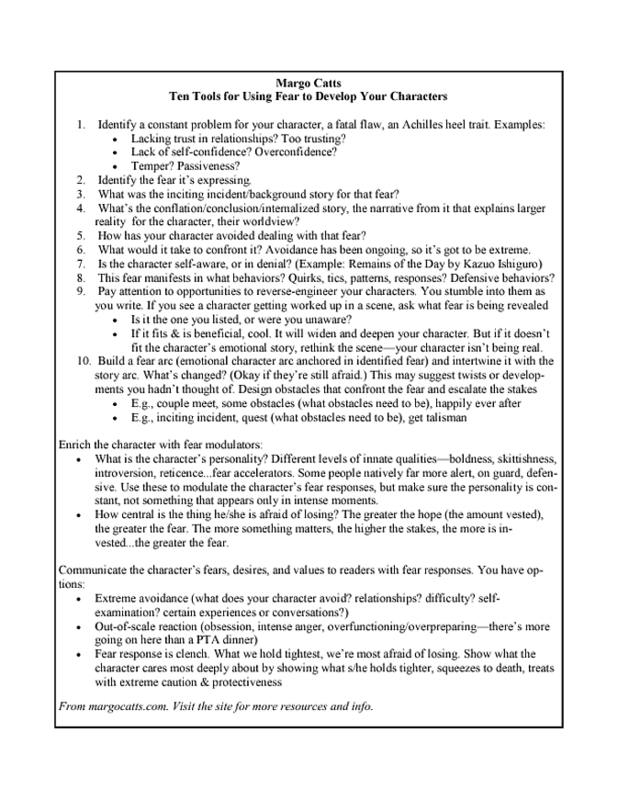 For handouts, click here for the Emotional Reaction Grid, and click here for Ten Tools for Using Fear to Develop Your Characters. For anyone looking for the handouts for “Build the Arc,” please email me (go to the bottom of this page) for presentation notes–that one isn’t lending itself to single-page handouts. May 4-5, 2018: Writefest Houston, Houston, TX, presenting “Building Your Story Arc to Stay Afloat” and participating in the “Gardeners vs Architects” panel discussion. Register or get more information at the Writefest website. September 21, 2017: Writing workshop, “Fight or Flight: Find the stories behind the stories in character motivation.” Ticketed event at The Bookworm of Edwards, 295 Main Street, Edwards, CO, includes a copy of Among the Lesser Gods. For ticket information, call 970-926-7323. 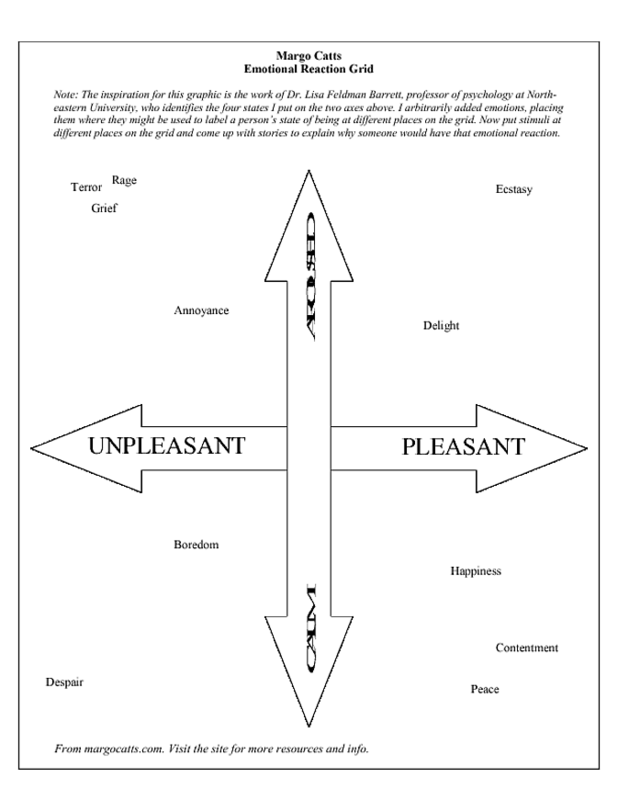 September 10, 2017: Book talk and signing, Book Bar, 4280 Tennyson St., Denver, CO, 6:00 – 8:00 p.m.
Presenting “Fight or Flight: Enrich Your Characters by Finding and Feeding on Their Fears.” For handouts click here for the Emotional Reaction Grid and here for Ten Tools for Using Fear to Develop Your Characters. June 23, 2017: Book talk and signing, The King’s English Bookshop, 1511 South 1500 East, Salt Lake City, Utah, 7:00 – 9:00 p.m. If we’re lucky, summer will give us a beautiful evening on their patio. May 15, 2017: Book launch celebration, the Tattered Cover Bookstore, 7301 S. Santa Fe Drive, Littleton, Colorado, 7:00 – 9:00 p.m. Book talk, signing, light refreshment, light laughter. All welcome! But an RSVP on the Facebook event will help us make sure we have enough goodies. May 9, 2017: Bookstore hardback and eBook download release date for Among the Lesser Gods.